Monday Night Jazz at Vicino's, the most intimate jazz venue in the Washington DC metropolitan area! 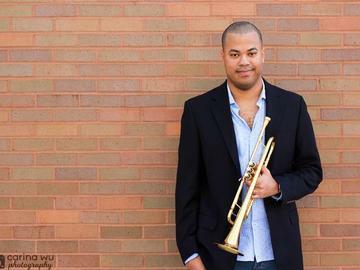 Come check out this wonderful up and coming jazz trumpeter and educator, Paul Bailey, as he brings his cool swing to some American Standards and some straight-ahead jazz gems! Treat yourself to a great evening of music. You deserve it! Oh yeah, the Italian cuisine is excellent as well and the price is right! All sales are final, no refunds. Tickets are not transferable.